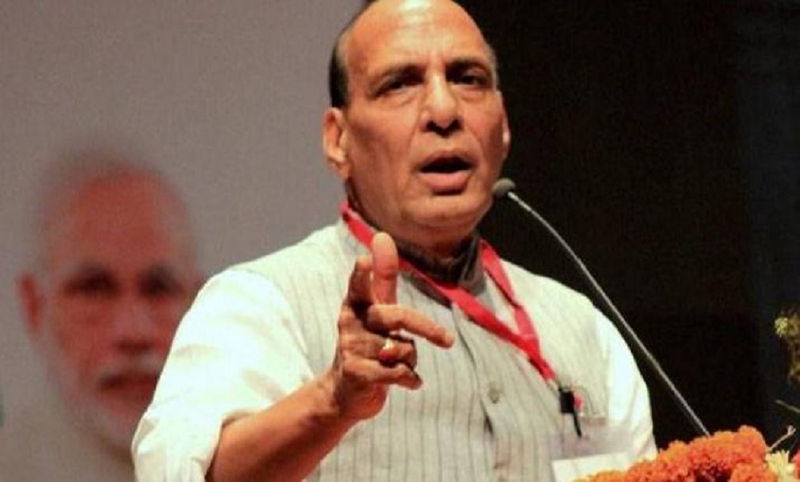 UNION Minister Rajnath Singh on Sunday said the ministers of the BJP-led Central Government would have stepped down from their posts had any corruption charges against them been proved even prima facie. Addressing an election rally here on Sunday, Singh said that no one in the world can date to allege any corruption against the BJP ministers. “We have also run Governments. Kalyan Singh ji and I have headed Uttar Pradesh Governments. Atal ji and Modi ji have been Prime Ministers. But not a single charge of corruption was labelled against our ministers. If there were any, and they were proved even prima facie. We would have resigned and headed to our homes,” he said. Singh said: “Nobody not just in just India but in the entire world can dare to say that even a single minister is tainted with charges of corruption in Narendra Modi Government.” The Home Minister said that Prime Minister Narendra Modi cannot commit any act of corruption as there is no one to get its benefits. “Modi ji has no family. For whom he would commit corruption for?” he asked. Singh’s comments came amid allegation of corruption in the Rafale fighter jet deal by Opposition parties especially the Congress. The minister attacked Cong over corruption charges on its ministers of the previous UPA Governments.